Twenty-three peacekeepers returned to their original units in Zhejiang province on March 20, after completing a yearlong United Nations mission in Liberia. Du Hengda, who was selected for the mission in 2015, was one of them. When he applied for the UN work, his daughter was two-month-old. But he was determined to go and his wife supported him, too. The day he departed for Liberia happened to be the first birthday of his daughter. During his posting in the West African nation, he missed his daughter a lot. "I wanted to give a special memento to my daughter," said Du. 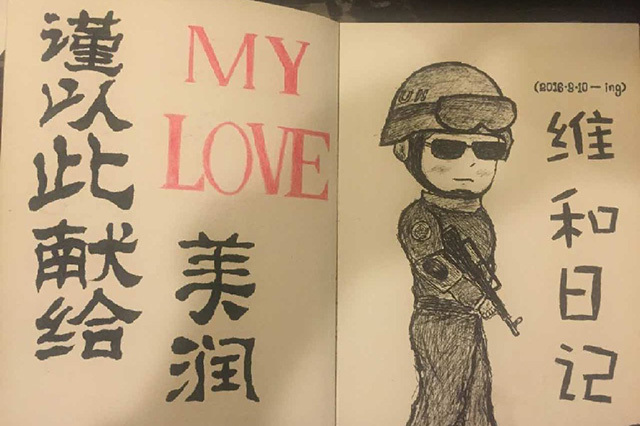 While some of his companions kept a diary to record their mission, he chose to express his love for his little daughter in sketches. When he was not too busy with the mission, Du would draw something. When he saw little lizards crawling around at a task zone, he drew them on the paper and showed his work to his daughter. Similarly, when he saw a lot of fish in the Atlantic, he captured them in his sketch and presented it to his little girl. Whenever he missed her, he would draw a portrait of her and talk to the image just like he would speak to her in real. He drew so many images that by the end of the year his drawings were thick enough to become a whole album. Du named the album - You call me daddy, I call this journal my baby. Although there is an eight-hour difference between Liberia and China, Du and his family still managed to hold video chats. His wife often told him stories about their daughter. Sometimes he spoke to her in her babbling voice. Du and his team returned to China in March. Before he resumed his duty as a border guard officer at a public security unit in Zhoushan, northeast of Zhejiang province, he was granted leave to visit home. 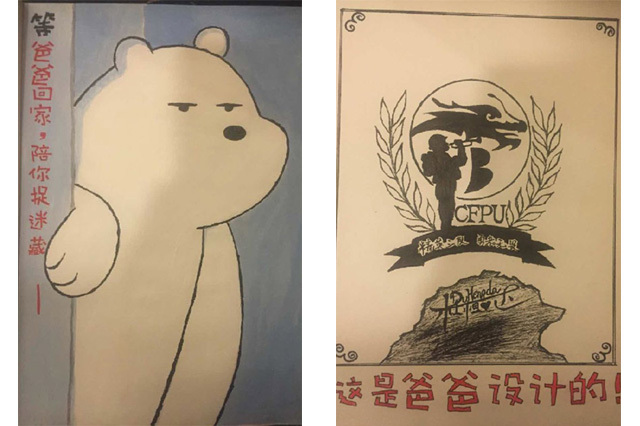 Du boarded a flight bound for Yantai -- his hometown city in Shandong province where his family lives -- on March 21, with the album for his daughter in his bag. "She's too young to understand the meaning of those paintings, but I'm sure she will love them when she grows up," said he.